The line between social drinking and problem drinking is an easy one to cross. If you drink alone when you feel sad or angry, drink after telling yourself you won’t, or if drinking affects your personal or professional life, there’s reason for concern. 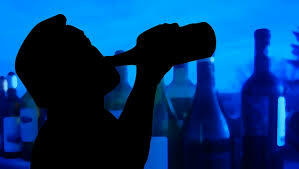 April is National Alcohol Awareness Month, a good time to evaluate your relationship with alcohol. Excessive drinking can seriously affect your health. Nearly 10 percent of Americans ages 12 and older have an alcohol or drug problem, according to the National Survey on Drug Use and Health. If you are concerned that you or someone you care about has a problem with alcohol, NewBridge Services can help. For more information, go to newbridge.org or call (888) 746-9333.